After finding one another in 1999, and subsequently discovering their mutual interest in the wine business, it was befitting that Andrea and Robin McBride launched a new wine brand Truvée, derived from the French verb “to find.” The newly unveiled Truvée Wines, which officially launched February 2015, is one of two wine brands under the McBride Sisters banner. Andrea and Robin have quite the fascinating story to complement their unique wines. The sisters, who share the same father and different mothers, grew up across the globe from one another, Andrea in New Zealand and Robin in California. As a result of their father’s final wish before his passing, the two were first introduced in 1999. The sisters connected instantly, and both shared a passion for wine and sustainability. In 2010, they created eco.love Wines, the first wine company founded by African American sisters, to launch on a digital platform, and to be made in the first carboNZero Cert™ Winery in the world. The brand launched online using a completely digital platform and gained national distribution within its first year. The wines are best described as delicious, food-friendly, balanced and sophisticated wines sourced in Marlborough from vineyards within the Wairau, Waihopi, and Nelson Valleys. With over 10 years in the wine business, the sisters have been involved in every facet of the industry from grape growing, winemaking, importation, distribution, sales and marketing. 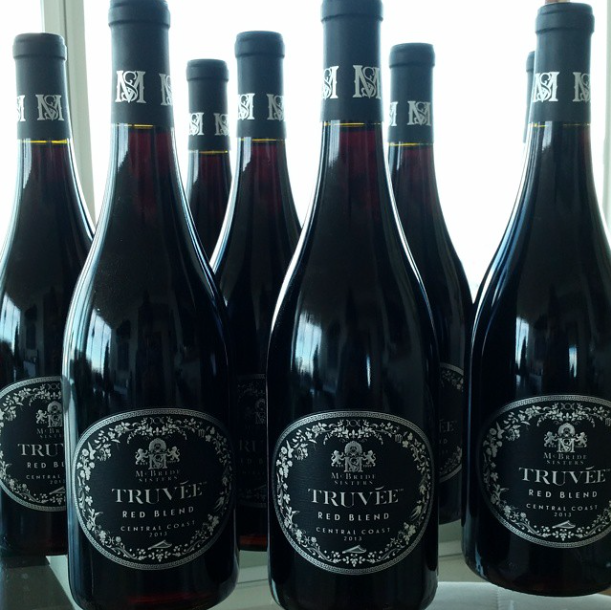 “Truvée embodies the spirit of our story, while naturally reflecting our signature winemaking style. We've created a high-quality wine that is approachable and sophisticated," said Robin McBride. "Truvée stylistically combines old world and new world winemaking philosophies to bring affordable luxury to contemporary wine drinkers, and creates the foundation for our wine company." The varietals under the McBride sisters imprint includes Sauvignon Blanc, Riesling, Chardonnay, Pinot Noir & Grenache/Syrah Red Blends. Starting this year, they will support in-kind to organizations who are making a positive difference in the world, with a focus on family and the environment. Read more about the McBride sisters here!